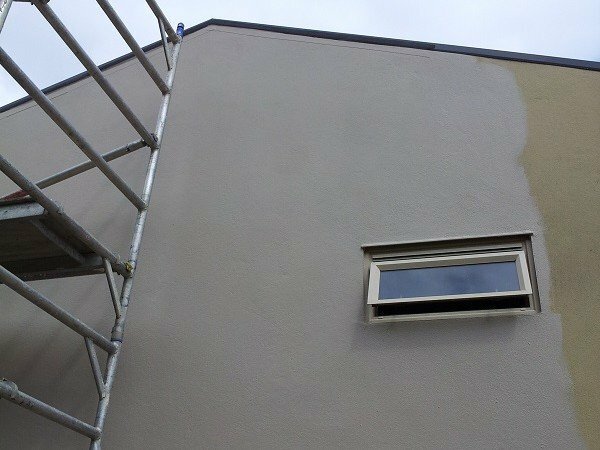 We were approached by a leaky home owner who had minor leaky building issues on his plaster parapets and was looking for an economical solution for this. 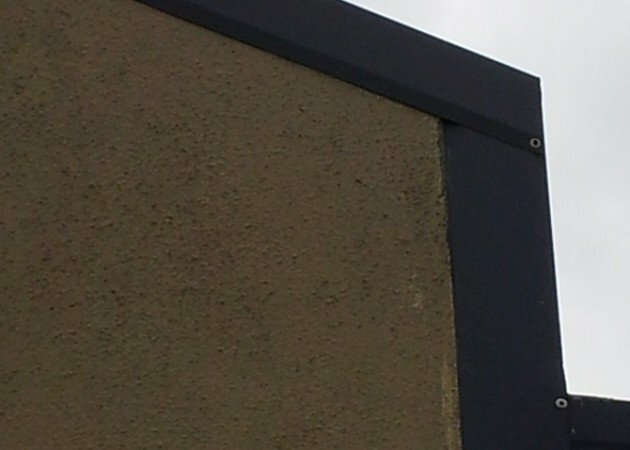 The parapets use a metal flashing (as shown above) over the plaster cap to provide water proofing and this was a very common practice during the 90′s but is a very poor waterproofing technique. The problem with these types of capping systems is heavy rain combined with strong winds get under the metal flashing easily and then saturated the plaster. The end result was water leaking into the home causing rotting window frames and internal wood rot. The quote for repair ran into many thousands of dollars and the home owner concerned was looking for a more economical system to stop water getting in. The quotes the home owner had from various remedial companies ranged from $10,000 to $200,000 to fix these areas of the house and make water tight. 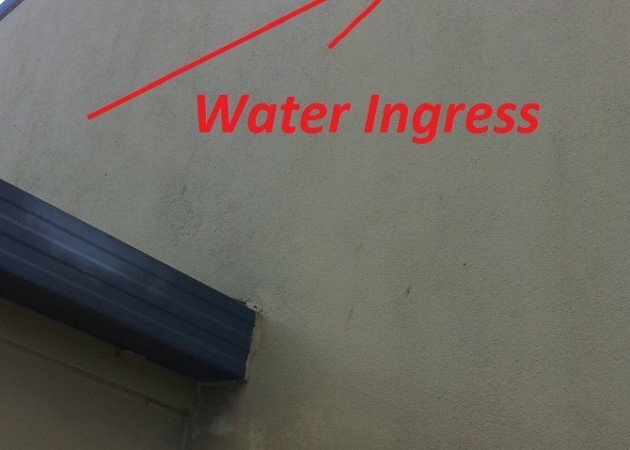 We suggested a more economical alternative by using our water proof taping bandage called Panel Bond Bandage which is used by our contractors as a joint sealant in in cool stores, a remedial fix for flashing’s on roofs, and many other uses around the waterproofing industry. The beauty of this tape is it is thick, extremely adhesive, can tolerate movement and is long lasting when coated. 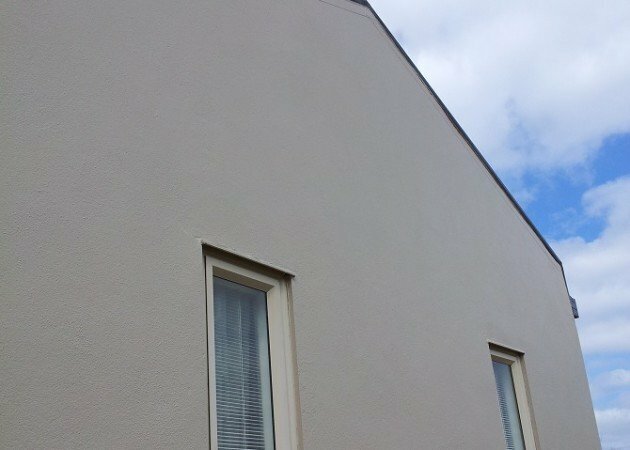 The Panel Bond Bandage water proofing elongates up to 700% so we suggested to the owner that he applies our famous water proofing paint called Noxyde which will elongate up to 200%. A perfect fix for this situation being a fully water tight strong flexible seal. We were please to get a phone call from the home owner stating that after the last heavy rain in Auckland with a strong easterly the parapet did not leak. * MMP Coatings is not a leaky home specialist and provides no warranties around leaking houses when this product is used. We do however guarantee that Panel Bond Bandage is waterproof when applied in accordance with the manufacturers specifications. We have been supplying this product for many years in the market as a joint sealant in cool stores, a remedial fix for flashing’s on roofs, and many other waterproofing applications. There are no more projects here. Please try other Categories.